Greetings from Huong, Ella, and Kaylee from The 88 Project! We are bringing you news, analysis, and actions regarding human rights and civil society in Vietnam during the week of October 2-8. Another activist, Dao Quang Thuc, has been arrested under Article 79 on charges of subversion. Journalist Pham Doan Trang, who has faced police interrogation and was previously in exile, has written a new book encouraging people to take a fresh look at politics. Cambodia is still planning to return 29 Montagnard refugees to Vietnam despite risks of persecution. Catch up on content from VOICE Vietnam’s UPR campaign and the Regional Consultation – State of the Internet Asia. The news this week also focuses heavily on Internet controls and the upcoming APEC summit in Vietnam, which some say is contributing to the increased crackdown on activists inside the country. Please take action for several political prisoners who need medical attention in prison, including Nguyen Ngoc Nhu Quynh, better known as imprisoned blogger Mother Mushroom. Dao Quang Thuc, a retired teacher, was arrested under Article 79 on October 5 under charges of subversion. He was arrested for online posting and peaceful participation in protests over the environment and territorial disputes with China. Pham Doan Trang, author of a new book called “Politics For All” gave an interview to Radio Free Asia about the book’s aim to show that politics is relevant to all people and parts of society. The book takes direct examples from Vietnam and will be distributed through nontraditional means to reach the largest audience possible under state censorship. Trang was detained and interrogated by police in 2012, and after publishing the recorded interrogation, fled into exile. She has since returned to work in Vietnam. 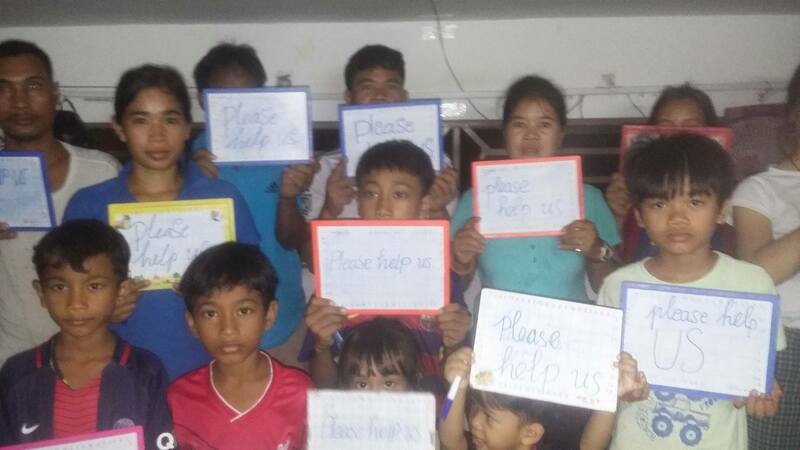 In an announcement made this week, Cambodia still seems intent on forcibly returning 29 Montagnard refugees, whose asylum applications have been rejected by the country, to Vietnam. The Cambodian government says that the Montagnards will not face persecution back in Vietnam, but many refugees have recounted physical and emotional attacks by Vietnamese authorities while they were living in Vietnam’s Central Highlands. At the Regional Consultation – State of the Internet in Asia, Vietnam and other countries’ internet controls were a hot topic. The consultation was held in Thailand from October 4-6 and featured speakers on many issues, including UN Special Rapporteur on Freedom of Opinion and Expression, David Kaye. Check out the video of his lecture and content from the event on Forum-Asia’s Facebook and Twitter pages. A delegation from VOICE continues its midterm Universal Periodic Review (UPR) campaign in Brussels, Geneva, Berlin, Oslo, Prague, and Stockholm until October 10. They are currently in Oslo. Stayed tuned for our upcoming interview with their Director of Programs, Anna. Contact VOICE if you would like to help and join in, and follow @VietnamUPR to receive updates on the campaign. Vietnam Battles Political Scandals As Trump Announces APEC Visit: “Vietnamese officials will also be keen to showcase Danang, often referred to as the country’s ‘most livable city’. On the central coast of Vietnam, it is often held up as a model of what can be achieved in the country in terms of urban planning and governance. It’s charismatic leader for a decade until 2013, Nguyen Ba Thanh, oversaw the evolution of Danang into the sleek, modern metropolis it is today. He was subsequently promoted to a post with the central government in Hanoi, but died of cancer in 2015. Then news broke in late September that Danang’s two senior leaders, local Party chief Nguyen Xuan Anh and People’s Committee chairman Hyunh Doc Tho, were to face disciplinary measures for ‘misconduct, mismanagement and dishonesty’.